Looking for a plain English guide to United States landlord tenant laws? Learn what are the rental property laws for your U.S. state today. Your state landlord tenant laws will hold the answers to most of your rental questions and issues - What are your rights as a landlord or tenant, how much security deposit you can ask for, when you can make deposit deduction and whether the tenant is allowed to sublet. 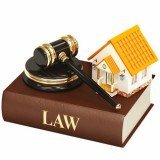 Besides simplifying and explaining your state rental property laws, we will also show you how to resolve any landlord tenant disputes legally and when you should hire a real estate lawyer. If you have any important questions on your landlord and tenant law, you should always ask a real estate lawyer for advice. While it's important to avoid tenant discrimination when screening and choosing new renters for your property. Let us explain the U.S. tenant discrimination laws in plain English. What is the maximum security deposit amount a landlord can ask for and does the landlord have to pay the tenant interest on the deposit? Learn your state landlord tenant laws for security deposit today. How many days does the landlord have to make security deposit deductions and returns after the end of a lease? Then find out the precise answer for your state here. Are you thinking of subletting your rental property? Then find out what are the sublet laws and regulations for your state. Are you a landlord or tenant in a commercial lease agreement? Then learn the important basics here and how it differs from residential landlord tenant laws. Learn everything that you will need to know about hiring a real estate lawyer here: Where to find lawyers online and offline, how much will it cost you to hire one and what questions to ask your lawyer. 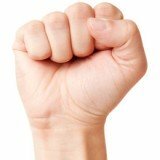 Resolving landlord tenant disputes by legal means doesn't have to be a lengthy and costly process. Find out how mediation, arbitration and small claims court can help you settle your disputes quickly and painlessly. If you have any questions on rental property laws, most people will tell you to look for a real estate lawyer. That is good advice but hiring a real estate lawyer isn't cheap - It is often not worth the cost or hassle for most landlord tenant disputes (unless you are in a lot of trouble). Quick Replies - We got our answers within an hour. Affordable Fees - On the average, we paid $15 to $20 per question. Quality Answers - The answers given were helpful and detailed. If you have any landlord tenant questions or issues, Click here to ask a lawyer on JustAnswer.